Home » jeffrey kottler » Vulnerability: The Key to Growth? By definition, the work therapists do requires our clients to be vulnerable in ways that they probably never experience otherwise in their lives — most clients know this well! What we are all perhaps less familiar with is the ways in which our role requires vulnerability of the therapist as well. 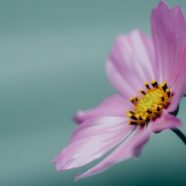 I often think that I do my best work when I am most vulnerable with my clients — not just telling them about my own struggles (though that’s great if needed), but being willing to acknowledge that I don’t have all the answers they’re looking for, and to actually be in that difficult, lonely, lost and confusing place with them. This is often where the real magic of therapy happens — when all of us, counselors and clients alike, can be vulnerable together and find strength and healing in our solidarity. I’d been mulling all of this over recently, and then I got an email with a meditation from Fr. 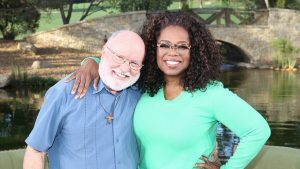 Richard Rohr, a Franciscan priest I am an ardent student of that was recently featured on Oprah’s Super Soul Sundays. I wanted to share some of it with you. I hope you enjoy it! If and when we can live an honestly vulnerable life…there will always be a centrifugal force flowing through, out, and beyond us…[we must learn to be] vulnerable to life and love itself and [resist] all that destroys the Life Flow…And we are never “there” yet. We are always just in the river. Don’t try to push the river or make the river happen; it is already happening, and you cannot stop it. All you can do is recognize it, enjoy it, and ever more fully allow it to carry you.